In the world these days, we have more access to data than ever before. Whether through social media, smartphone integration, or enterprise systems - we blur the line between what's business and what's personal. With the enormous amount of data filtering through our brains, we instinctively look for ways to make sense of things. We try to figure out "what's trending" - whether with celebrity gossip, sports teams, or in the case of Quality Management Systems, adverse events. The ability to collect adverse events and make decisions to foster improvement is the cornerstone of any Quality Management, Environmental Health & Safety or Compliance Management system. Whether you are recording complaints, safety incidents, audit data, or nonconformances, the process of collecting data, investigating the root cause, and taking steps to correct it is consistent. In our last episode, we looked at how the crew of the USS Enterprise and the Star Trek franchise might have employed Quality Management Systems. to help streamline their processes, mitigate risks, and foster continuous improvement throughout the galaxy. It’s only logical that you read Part 1 to get the full picture up till now. 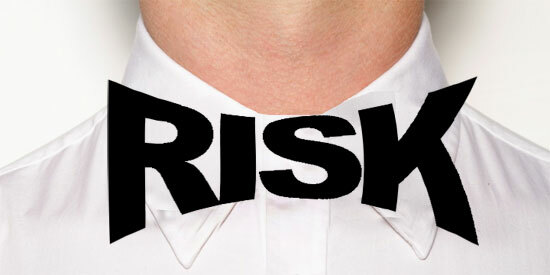 In previous articles, we've talked a lot about Risk Assessment and Risk Management. And with good reason - Risk is fast becoming the strongest and most comprehensive way to benchmark compliance, make more informed decisions, and enhance visibility into areas of improvement within the organization. Quality Management, if we've learned anything, is a central factor in any manufacturing organization. What's most compelling is the evolution over the past decade on our perception of Quality Management. Once thought to be another siloed system in an organization's infrastructure, Quality Management Systems have evolved into a central point of prominence in defining how products and processes are executed. Warning: This is a bit of a rant. 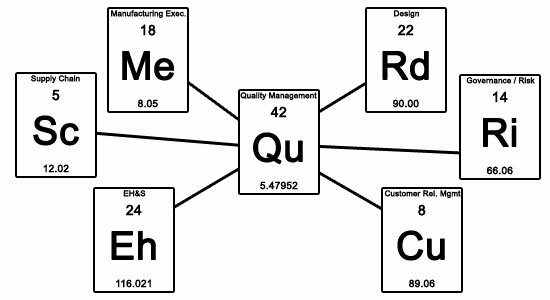 Not so much an "angry-about-the-state-of-the-world" rant, but more of a tangent on Quality Management software. You see, I tend to get carried away when I write about stuff - Quality, EHS, Life Sciences, Aviation, Coffee, Star Wars, Biking, Office furniture; it's all open-season when I get on the soapbox. This happened to be as part of an interview for a Life Sciences magazine, and I just couldn't stop. I covered everything, and I managed to write it down, so thought I would share - hopefully there's some good nuggets in here for you to learn. Seems like the "next best thing" is always coming out. I'm not one of those people who miss the good old days - I always marvel at what we have in the modern world. I feel like TV shows have gotten better, consumer products are better, my kid's toys are cooler, and technology is smarter and sleeker than ever. They call it the "elevator pitch". I find that kind of a silly notion, like you would be waiting in the lobby to ride the lift with any executive who pops in for work around 11am-ish. I would personally thinking you would come off a bit like a stalker, talking business when the guy is still on his first latte. I had a guy try to pitch to me in the bathroom once - it didn't go over well.